Would You Wear a 'Baby On Board' Pin? Wearing a sign that proves your pregnant—bad idea—or kind of brilliant? As one London woman found out the hard way, it could be a way to get a seat on your commute. There's always that awkward moment when you're pregnant but you don't quite look it. And you want that seat on the train. People scan your belly, looking for a cue to confirm that you're expecting. 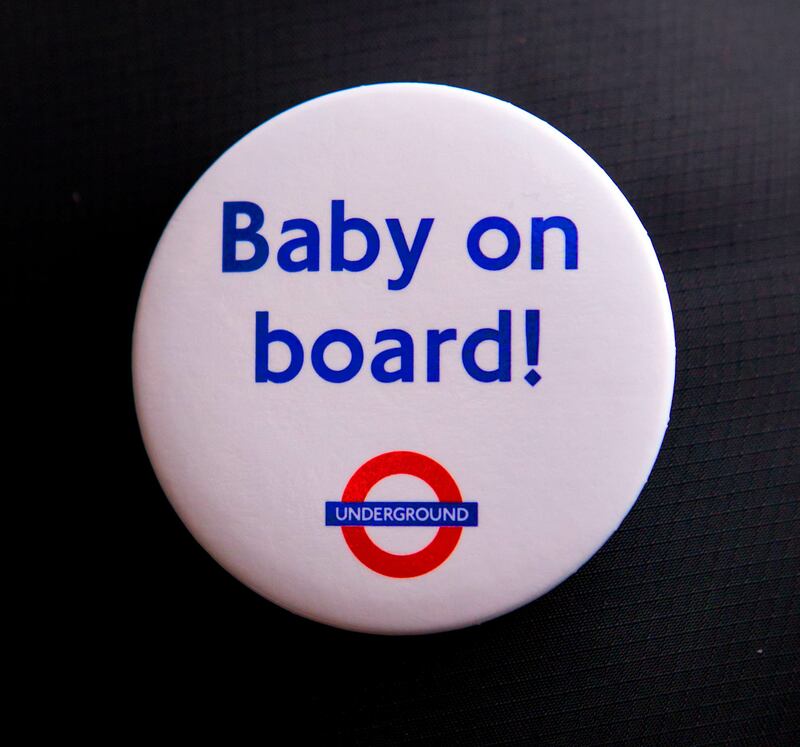 To prevent that exchange—or possible confrontation—London created pins for moms that say "Baby on Board" so there's never a question. Many British moms-to-be wear these while riding on the London's metro, The Underground, including Kate Middleton, and often, fellow straphangers will give up their seat. However, one mom, Raayan Zafar, still encountered a rude passenger, even though she was wearing her pin last week. She told the Evening Standard that she was suffering from severe morning sickness and is on medication, but while riding the Victoria line, she started to feel dizzy. A man gave up his seat, but another man questioned her, asking: Where is the baby? While we can't say that we're surprised that someone had something rude to say to a pregnant lady (sadly), we kind of love London's program. As Zafar says in her interview, "I think we need to educate people more about this. People know about disabled people and they are more considerate because they can see it, whereas with a pregnancy they can't see it at a certain time so they think everything is fine." What do you think? Would a pin that confirms your pregnancy make people be nicer to you?